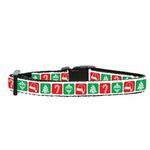 Deck your kitty in Holiday cheer this winter with a festive Timeless Christmas Nylon Safety Cat Collar! Matches the Classic Nylon Christmas Dog Leash! Sold separately. We love the alternating block pattern on this festive collar for cats! 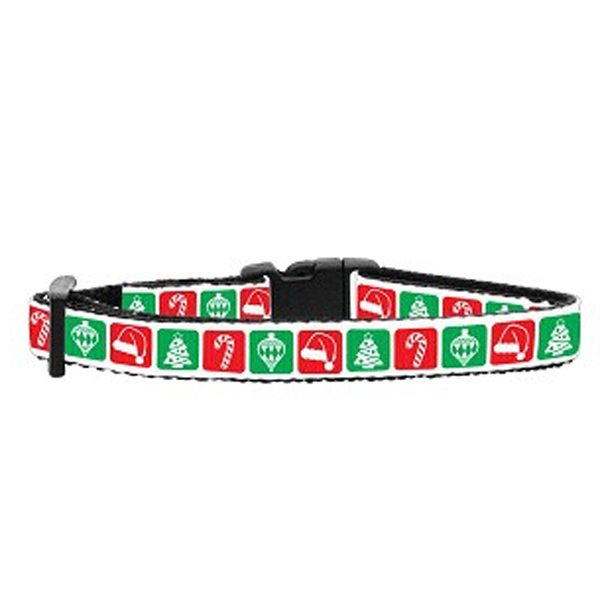 The Timeless Christmas Nylon Safety Cat Collar features a colorful pattern of Christmas scenes on a white ribbon sewn onto durable black nylon. It includes a buckle specially designed to break away in the event that your cat gets entangled while wearing it.